Sam Houston is a living legend in 1861. The hero of the Battle of San Jacinto, he had defeated Santa Anna to win independence for Texas back in 1836. He had twice served as president of the Republic of Texas, helped Texas join the Union, and served as senator and governor of Texas. Before settling in Texas, he had been a hero of the Creek War and governor of Tennessee. He had been friends with Andrew Jackson and Davy Crockett, and had been adopted into the Cherokee tribe, whose rights he had often defended and who had named him the Raven. Yet now, approaching seventy years of hard living, he finds everything he has fought for being torn asunder. Texas is joining the Confederacy, and Houston, a Unionist who has been cast out as governor, quickly loses power, prestige, and friends. He could hide in retirement, but such is not the way of a warrior. The Raven prepares for his most important fight yet. He knows this battle will test his endurance and faith. He knows he will need his wife, Margaret, to save him from his own worst enemy-himself. And he knows this war, which will pit brother against brother, will also try to divide Houston's family. What he doesn't know yet is that he will find help from long-dead friends and enemies to help him sort out his life and restore his honor. 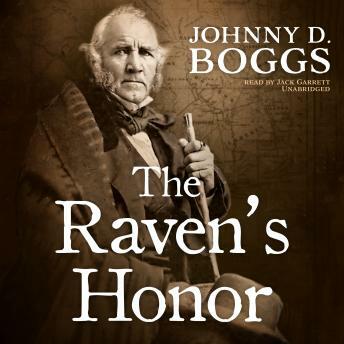 Johnny D. Boggs, among the most honored Western writers of the twenty-first century, brings one of Texas' greatest heroes to life, warts and all, in a character study and love story of a man fighting for his country and legacy-but mostly for his family.